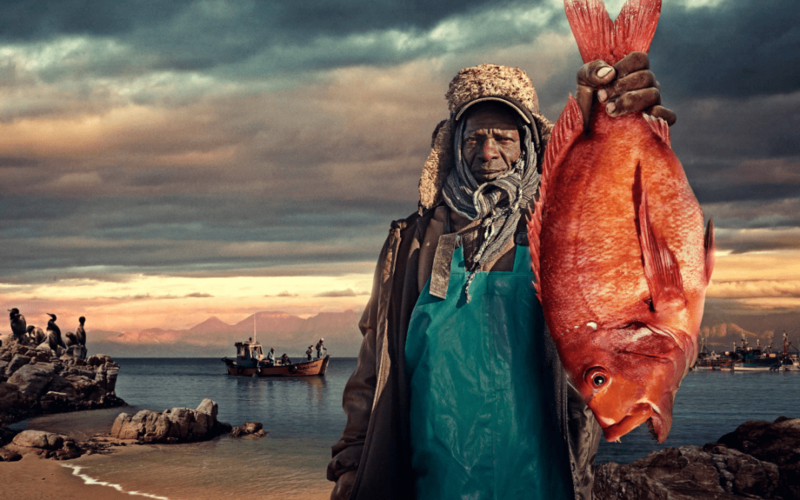 16.10.2018 – On World Food Day, WWF warns against the dramatic impact of overfished oceans on people around the globe. Currently, 33 percent of fish stocks are overfished (in the Mediterranean it is 85%) with a further 60 percent at maximum capacity with no possibility to increase catches without overfishing the stock. At the same time, more than three billion people rely on fish as an essential source of protein. “Heavily overfished oceans put global food security at risk, as well as the livelihoods of 800 million people depending on fish for food and income. Most of them live in developing countries”, says Marco Costantini, Regional Manager Fisheries, WWF Mediterranean Marine Initiative. Europe is the biggest fish and seafood market in the world. Currently, 60 percent of fish and seafood is imported with more than half of this coming from developing countries. “Europe can be a major driver for change in the global seafood industry” Costantini continues. “A sustainable choice of seafood makes a real difference for millions of people dependent on fish”. WWF, as a global player, calls on consumers, retailers and policy makers in the EU and its member states to take a leading role in ensuring sustainable fisheries worldwide and to guarantee that no one is left behind in fisheries and aquaculture. As global hunger is on the rise, fish is of unique importance as a high quality protein source of nutritious food for many developing countries. The growing trend of overfishing global fish stocks urgently needs to be stopped. The trend is especially worrying as climate change is expected to alter the productivity of fisheries leading to less fish in the global south. “In times of climate change, a growing middle class and world population, as well as rising seafood demand, a shift towards sustainable production and consumption is absolutely necessary. Only then will fish remain as a valuable source of food and income in the future”, says Costantini. On World Food Day, WWF launches its new pan-European, multimedia advertising campaign. “This species will soon disappear. And so will the fish” points out the risk of overfishing threatening the income and food security of people around the globe – fishermen and women, processors, packagers, carriers, as well as people who directly depend on fish for nutrition. See the WWF Online Seafood Guides.